The man who was tasered in Leamington town centre on Wednesday afternoon has appeared in court on shoplifting charges. Lee Allsopp, 35 and of no fixed abode, was arrested in Warwick Street on Wednesday afternoon after an ongoing incident which saw the street cordoned off. It is understood he was making threats to harm himself following a shoplifting incident when officers were forced to restrain him using a taser. Allsopp, who was later treated by paramedics, appeared before Lemington Magistrates on July 14 to face shoplifting charges. 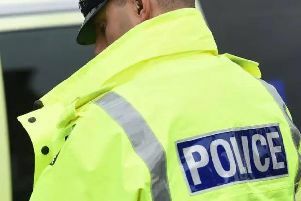 A 48-year-old man was also arrested in Warwick Street following Wednesday’s incident, on suspicion of assaulting a police officer.